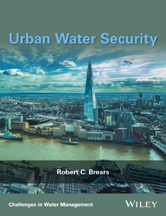 This book provides readers with a series of in-depth case studies of leading developed cities, of differing climates, incomes and lifestyles from around the world, that have used demand management tools to modify the attitudes and behaviour of water users in an attempt to achieve urban water security. What is urban water security? What does sustainability mean in urban watermanagement? What types of transitions are there? What is a transition in urban water management?